A-HOTEL.com - Luxury and cheap accommodation in Penno-Byrdino, Russia. Prices and hotel, apartment booking in Penno-Byrdino and surrounding. Homestay Gagarina 17 provides accommodation with a kitchen, located in Zheleznogorsk. Free WiFi is offered. Offering free WiFi and city views, Apartment Marshala Zhukova is an accommodation set in Zheleznogorsk. Guests have a private balcony. 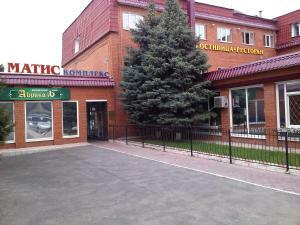 Situated in Zheleznogorsk, Gostinichniy Kompleks Matis provides a bar and free WiFi. Featuring a 24-hour front desk, this property also provides guests with a restaurant. Hotel Zheleznogorsk is located in the centre of Zheleznogorsk, just 50 metres from the city park. Free WiFi access is available. Featuring free WiFi, Motel Veretenino offers pet-friendly accommodation 2 km from Zheleznogorsk. Private parking is available on site at surcharge. Park-Hotel Peschanyi features accommodation with a private beach area and free WiFi, and is located in Mikhaylovka. Some units also have a kitchenette equipped with a fridge and stovetop. Set in Fatezh, Gostinitsa Fatezh provides air-conditioned rooms with free WiFi. Boasting room service, this property also provides guests with a restaurant. Located in Nizhnyaya Medveditsa, Мотель "Курский соловей" offers a garden. Boasting a 24-hour front desk, this property also provides guests with a restaurant.